NEW LOOK DUPE! | O. R. R. - Life & Style Journal. 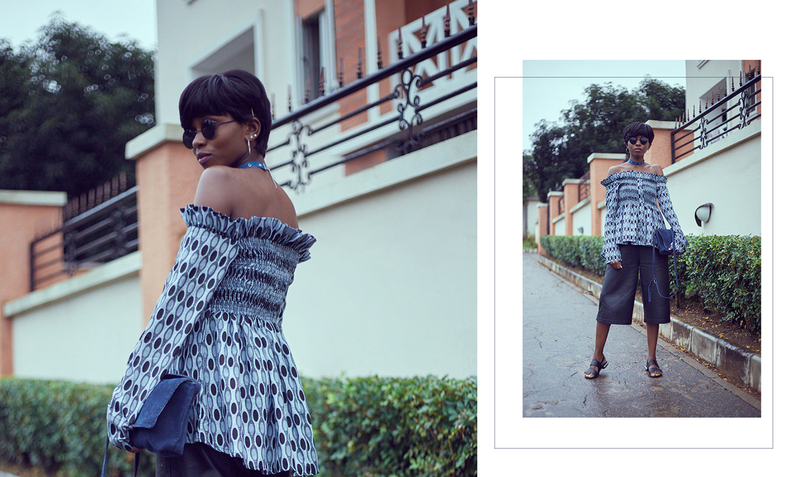 If you've been following my blog for long enough then I bet the fabric of my top looks familiar to you. It's the same fabric as the dress in this post and the top I'm wearing was made by the same person! I bought 6 yards of the fabric and decided to get Hannah to use the leftover from the dress to sew a duplicate of a New Look top I'd been wanting for ages. Now, I can't remember the exact price of the top but as New Look pricing goes, it was probably £24.99. Hannah charged me ₦7,000 which is about £14 and she delivered on time. Here's a photo of the top that inspired the one in this post. She did a great job, didn't she? You can find Hannah on Instagram here.